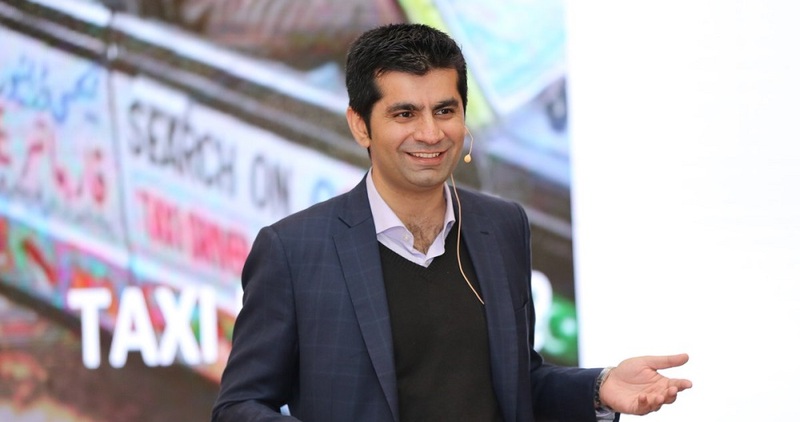 Careem’s co-founder and CEO Mudassir Sheikha sent an email to Careem staff the day company announced its acquisition by Uber. The email was published the following day on Careem’s blog. Here’s its full text. Today is a BIG day in the story of Careem. It is the beginning of our Chapter 2. It’s a day that I want you to remember as the moment we started our next phase of growth, supercharging our purpose of simplifying and improving the lives of people, and building an awesome organisation that inspires. At last, after so much rumour and chatter, we are now able to give you the full picture of the choices that we made and the agreement that we signed last night. The process, which started like all prior fundraising efforts took a year, during which we fielded interest from a range of international investors and strategic partners. After many positive discussions with Dara, the CEO of Uber and his team, we have reached an agreement to join forces. In the terms of the deal, Careem will be acquired 100% by Uber and will operate as a wholly-owned subsidiary. I will continue to serve as the CEO, reporting to a refreshed board of directors. Magnus and I will continue to serve on the board, and our existing investors will be replaced by three representatives from Uber. Both Careem and Uber will keep their respective regional services and independent brands. Your jobs will not be impacted by this transaction. While we have signed the deal and announced it, this new relationship will only take effect after the transaction closes. This could take nine months or more, depending on the timing of regulatory approvals. One of the most prominent features of this deal is that it allows Careem to stay independent. We will remain a separate brand and organisation, which means we get to keep our purpose, values and culture. We will continue to pursue our platform vision to go after the massive opportunity that still lies ahead of us, but do it faster with Uber’s resources and expertise. Under Dara’s leadership, we have found a partner in Uber who has a proven commitment to the region, is aligned with our vision, and believes in our leadership to get there independently. Advances our purpose: Our combined scale and resources means we can simplify and improve the lives of more people in the region, and in more ways than just mobility. And, our ability to operate independently provides the freedom for us to continue building an awesome organisation that inspires. In short, we will continue to help our region realise its potential, but from a place of greater strength. Accelerates our vision: The opportunity to leap-frog our region into the digital future is significant, and we are uniquely positioned to deliver on it. As a partner, Uber is exceptionally well suited to accelerate our vision: they are 100% aligned and able to commit the required financial resources and technical expertise towards it. And, they have proven their commitment to the region by being one of the first global tech companies to go deep in our markets. I bet we can now achieve our 5-year plan in three years! Lift-off moment for the region: A transaction of this magnitude puts the region’s emerging technology ecosystem squarely on the map of regional and foreign investors. It will radically and irreversibly enhance the support and funding opportunities for local entrepreneurs. Every ecosystem needs a landmark transaction, and we hope this will be ours. Will I still have a role at Careem? Yes, your job is secure. This deal is about accelerating our collective ability to capture the massive, untapped digital opportunity across our region. In mobility alone, our view is that 98% of the addressable opportunity is still ahead of us. We will continue to operate independently, still innovate and hustle to grow the size of the market, and still compete for market share. After the deal closes in about nine months, we will have the option to get help from Uber where we believe it makes sense. For all of this, we need you more than ever. What will happen to my stock options? Your stock options in Careem will be rolled over into Uber stock options when the deal closes. Your options will continue to vest in the same way as before – nothing changes. We have a lot more information for you around options on Rocketship and will also be holding Options Clinics so you can get your specific questions answered. I will remain the CEO – I’m not going anywhere unless you tell me I should. Along with Magnus and three representatives from Uber, I will also serve on the refreshed board of directors. Our ride hailing, bus, delivery and payments businesses will continue to operate as usual and be expected to grow in line with our 2019 plans. Our leaders will continue to lead their markets and teams reporting into me in the same way. And you, our tigers will continue to be the fuel that powers this rocket. We need the passion and energy of all of you as we enter our new phase of accelerated growth. What will happen to our values and Careem OS? Our purpose, our values, and now the Careem OS, are what makes our magic sauce. Remaining independent within the Uber family means we keep this magic for our collective benefit. We truly believe our values are the license for long-term success and sustainability. Almost a year ago we kicked off our latest fundraising process. Our platform vision was clear and we decided to target well-financed investors who could bring strategic depth to one of our verticals or the platform. This led us to opportunities with investors in the US and China, all of whom showed interest in investing or in a strategic tie-up. By the summer of last year, we had term sheets well in excess of our target fundraise along with an option to join forces with Uber. At first, the Uber option did not make much sense to us. Yet over many talks with Dara, we developed a stronger relationship with him and his team – it felt different. It was clear, they had a deeper appreciation of the platform opportunity in markets like the Middle East, and had realised that capturing the opportunity would most likely require a focused local operator. Additionally, Dara’s empowering leadership style was a refreshing change. He spoke from a position of respect and focused primarily on how we could join forces to go after the bigger opportunity to transform the region. After much negotiation, we found a structure that we feel is the best possible outcome for Careem. A structure to join forces which advances our purpose and culture, accelerates our vision, and gives the regional tech ecosystem a landmark transaction. It’s time for us to write Careem’s next chapter, the one where we realise the vast opportunity in front of us. Let’s expand ride-hailing and provide reliable mobility for the masses of the region. Let’s build critical deliveries and payments infrastructure to enable future digital businesses. Let’s create the region’s first super-app that becomes a one-stop shop for people’s daily lives and the primary source of business for the region’s tech entrepreneurs. Let’s leap-frog our region into the digital future and radically enhance the quality of life of our people. As we do this, let’s make Careem one of the most valued and respected technology brands in the world. Let’s make Careem the dream job of the world’s most ambitious and brilliant minds. And, let’s make Careem a lasting institution, deeply rooted in values and inspiring culture. We will be holding a special All-Hands where we will share more of the story and answer all the questions you have. Sli.do is open now and will stay open all day, so please send us your questions so that we can respond. After the All-Hands, please spend some family time with your leadership and colleagues to share your thoughts. You’ll also get plenty of opportunity to share these thoughts and ideas with us as we plan to come and visit each of the markets over the next two weeks. There are so many people who have worked tirelessly to bring this deal together. We are truly thankful to them all, particularly for the way they have cared for and protected our interests, for being of service and driving the best possible outcome for us. Thank you also to you, for the ownership and commitment you have shown in getting Careem this far. Let’s align our collective energies and supercharge ourselves for the exciting ride ahead. This is Chapter 2, and we’re just getting started!